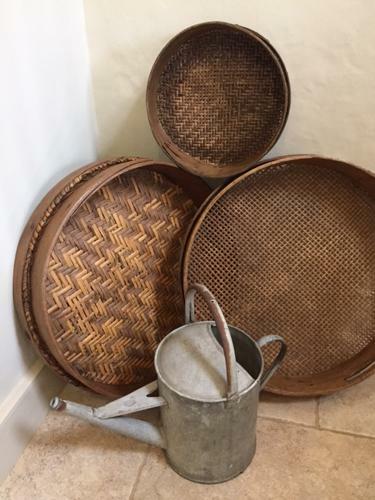 We have a wide selection of lovely old Norfolk Rush sieves. These hung in stables and old coaching inns, hence their name. They were used to toss the oats to remove the dust before feeding the horses. They came in various sizes and weaves and look great hung on a wall.